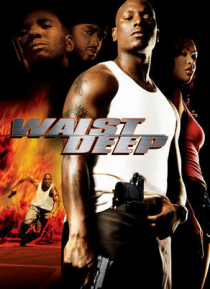 Locked and loaded with action, Waist Deep is an explosive thrill ride featuring Tyrese Gibson as O2, an ex-con who's trying to go straight. His life takes a deadly turn when his son gets kidnapped in a carjacking and held for ransom by a ruthless drug lord (The Game). With a street-smart hustler (Meagan Good) as his partner and his shady cousin (Larenz Tate) along for the ride, O2 races through th… e streets of Los Angeles in a desperate attempt to outsmart rival gangs and save his son.